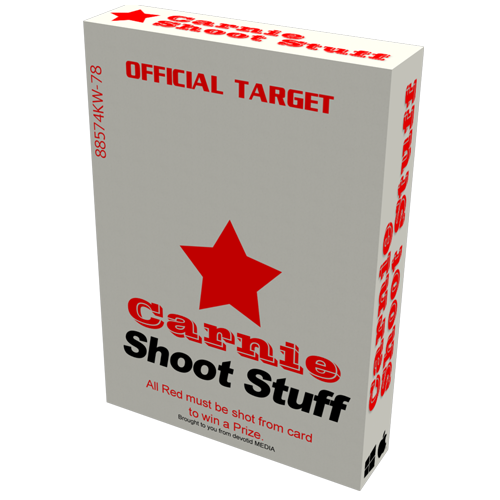 “Carnival” style air rifle simulation for PC and Mac. I couldn’t come up with a fancy name so I just call it Shoot Stuff. Years ago, I challenged myself to make and release a simple game in one day using the new unity cloth physics. This is what I came up with. From idea to complete working game in less than 24 hours. I then polished it into a fun demo with other stuff to shoot in about two-three weeks. I have plans to add more fun stuff to shoot and test the physics engines capabilities. You can purchase a full unlimited version in a 3 Game pack (Shoot Stuff, Push Stuff Coin Game and Comm Lathe Pro Simulator) for only $2.99 in the devotid webstore right now.